, our team has been working hard to make this feature available to more users in more countries. Just in time for summer travel, we’re delighted to announce that today we’re making traffic available in 13 countries in Europe. 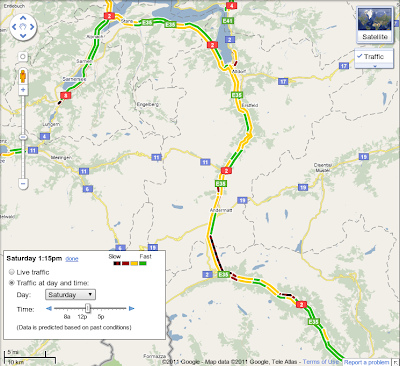 The new road traffic information is in the traffic layer on Google Maps and Google Maps for mobile, and Google Maps Navigation (Beta). Today we’re announcing new coverage in Austria, Belgium, Czech Republic, Denmark, Germany, Ireland, Israel, Luxembourg, Netherlands, Poland, Slovakia, Spain and Switzerland. Coverage includes all freeways and highways, as well as large roads in major cities. Users in the UK will also benefit from a finer grain of street level coverage. Our Maps team in Zurich is especially excited about this release because many of us will now be able to personally benefit from the expansion of this traffic feature. For example, although I take public transit to work every day, I enjoy weekend drives to the Austrian Alps or the Italian lakes region, and having live traffic available on my phone helps me avoid the traffic at the Gotthard tunnel. 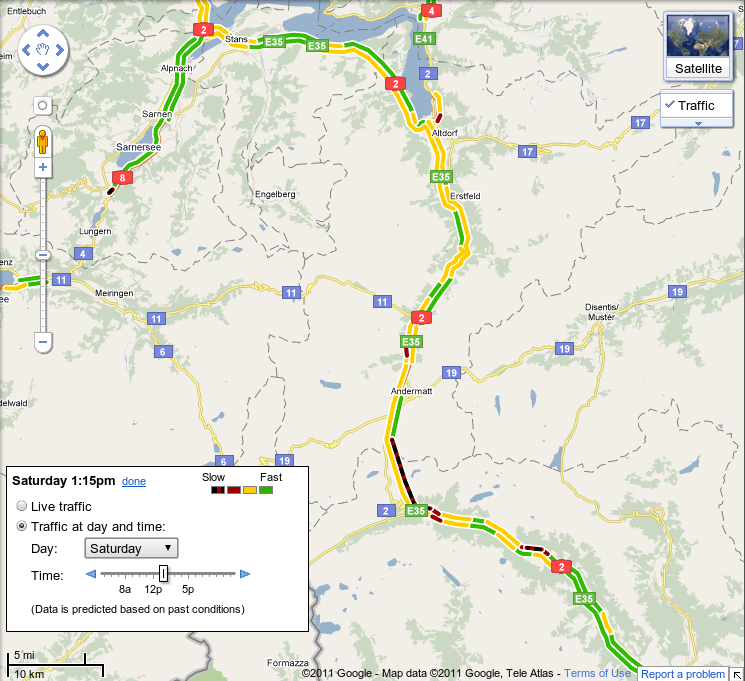 The live traffic layer is regularly updated to show information for traffic events from the last 5-10 minutes. Finally, you can learn more about typical traffic conditions for specific times and days of the week by clicking the “change” link in the traffic legend on Google Maps, and setting the day of week and time. 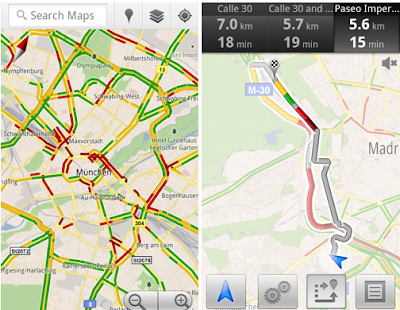 Since introducing the live traffic feature on Google Maps in 2008, our team has been working hard to make this feature available to more users in more countries. Just in time for summer travel, we’re delighted to announce that today we’re making traffic available in 13 countries in Europe. The new road traffic information is in the traffic layer on Google Maps and Google Maps for mobile, and Google Maps Navigation (Beta).